Zephyr (sail): Newport, RI - the "world-wide" Mecca of Sailing? Newport, RI - the "world-wide" Mecca of Sailing? My blogging mate and fellow tri-stater Tillerman (who writes "Proper Course") has been racing at the annual Newport Regatta. 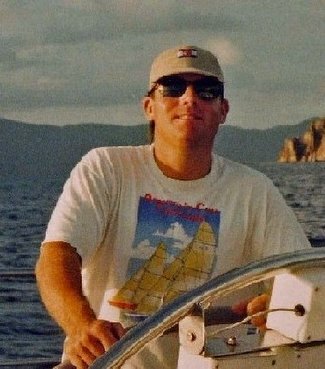 Tillerman sails Lasers and writes one hell of a good sailing blog. One of his recent Newport-oriented posts waxes rhapsodic about the star quality of Newport, proclaiming that it is "...the Mecca of world-wide yachting." For the sake of conversation let's start with a public admission that Newport rocks. It is, hands down, one of my favorite spots on the entire planet. And it is, indeed, the dominant sailing town in the U.S. - both from a historical and contemporary yachting perspective. As well it is so firmly identified in the American popular culture as "the" sailing town that despite other contenders mentioned in a comment I made to Tillerman's original post (including but not limited to: St Michaels, Bristol, Marblehead, Annapolis, Eastport, Sausalito, Southwest Harbor, Portsmouth, Charleston, Ft Lauderdale, Key West) - there is just nothing that compares reasonably to Newport. But is it the "mecca of world-wide yachting?" I think not. Given that competitive sailing is rather competitive uI'm not sure that one could ever be definitively named. Certainly there are more historic sailing towns than Newport. There are grander sailing towns. The America's Cup hasn't been held in Newport in many a year. Consider Auckland, Sydney, Saltsjöbaden, Crosshaven, Cape Town, Cowes, Hong Kong, Singapore, the Solent, Perth, Hamilton, Malta. On the other hand, how much should nationalistic pride define something as expansive as a sailing "mecca?" mec·ca (mµk“…) n. 1.a. A place that is regarded as the center of an activity or interest. b. A goal to which adherents of a religious faith or practice fervently aspire. 2. A place visited by many people. My post was of course meant to be provocative, though not many took the bait. I tend to agree that many yachting centers could challenge Newport for predominance. Certainly Cowes and the Solent in the UK are the British equivalent of Newport and its surrounding waters, and as a transplanted Brit who am I to argue which is the premier spot? Sailed in both, love both. Sydney and Perth/Fremantle are amazingly vibrant centers of sailing activity with superb waters - but perhaps without the same distinguished yachting historic background of Newport or Cowes. The Asian countries are coming on fast - I predict that Singapore will be one of the top yachting nations at the Olympics in my lifetime. I gladly took the bait, my friend. It's a good discussion. Nothing against Newport - a great place to visit - but you'd have to suppose this yachting center biusiness is quite plastic and subject to changes in venue and seasonal ice, wouldn't you? For example, if you move westward from the Eastern U.S. seaboard, we've got these amazing huge inland seas out here in the Midwest. You gentlemen may even have heard rumors about them. [winking] For the next two weeks (between the Port Huron-Mac and Chi-Mac races) Mackinac Island is some form of yachting Mecca, let me tell you.